strength, faith & perseverance, our people. We are survivors with dreams of what our nation’s future can be. However there are times we feel our nation is cursed. In desperation, we cry out to the Lord because we know there is hope. Throughout this season we ask you to A’minu Ma Nina, Hope With Us. My name is Kenyi Santino and I’m 23 years old. I was born in Terekeka, South Sudan to Mundari parents who are cattle herders by trade. I am their only son of nine kids! In 2006, one of my uncles, who fought as a freedom fighter, encouraged me to attend primary school in Yei, South Sudan because the quality of education there was the best in the country. 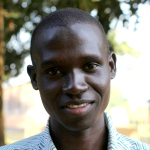 Unfortunately, not long after relocating to Yei, my uncle was killed in the war-infested region of Malakal, South Sudan. My uncle’s encouragement is what drove me to work hard as a young kid digging ditches, building bridges, and farming so that I could pay my way through school and perhaps become a priest one day. After completing primary school, I started attending Nehemiah Secondary School in 2012. That same year, a mini-marathon was put on for Yei Secondary Schools. The prize included scholarship privilege for schooling. With a prize like that I decided to participate and ended up placing 3rd and subsequently 1st place in 2013 and 2014. Not only was my schooling paid for those years, but the marathon organizer, Pastor Onochie “Uche” Izuora, became my mentor. 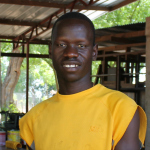 In order to compete on a larger stage, I had to return to Juba for further training, leaving me one year shy of completing my secondary education. Although war was going on in Juba during this time, I continued training even in the middle of gunfire. Thankfully by God’s grace those bullets did not stop me from qualifying for the 2016 Olympics in Rio de Janeiro, Brazil. In 2016, four teammates and I made history by becoming South Sudan’s first Olympic team. I competed in the 1500 meter race. While I did not place on the podium, I realized what my teammates and I accomplished that year was more important. 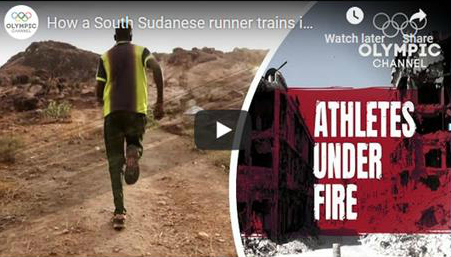 For the first time, on the world stage, South Sudan had a team competing in the Olympic games. And at home, regardless of tribe, we were being celebrated for representing the skill of South Sudanese athletes, a source of great national pride and one example of what our nation can offer the world. While I’m not a priest, God has used my gift of running as a way to minister to others. It has allowed me to pay for my own schooling and that of my two sisters. 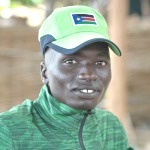 I’ve also been able to travel, train, and share my story in venues across the globe as I seek to qualify for South Sudan’s 2020 Olympic team. Thankfully I was also able to complete my Secondary Schooling this past year. While I’m not sure exactly what my future holds, I do know that the Lord is using my running to inspire others and bring hope to the youth in my country – a cause near to my heart. To leave a comment regarding this post click here and scroll to the bottom. My name is Regina and I am a teacher, not by training but by experience, having put in over 20 years of teaching both in primary and secondary school levels. I was born in the southern part of Sudan and moved to Uganda in the 80s during the first war of liberation. It was a blessing in disguise in that their system allowed me to complete pre-university levels (S5-S6) which were not available to me in Sudan. In 2010 I returned to southern Sudan married with children and jobless. Thankfully after submitting an application to teach at Harvesters, they hired me and I’ve been working with them ever since. In 2011 a peace agreement was reached, which ultimately culminated into the independent declaration for the newest country in the world, South Sudan. It was all happiness but that was to last only a matter of years before everything started moving backwards. Long story short, I want to say that in recalling the life I lived before working at Harvesters as being a testimony that there is a hell. Today, however, I have managed to educate my children through to college courtesy of the God-given salary I earn from Harvesters. My children have attended EPC-Nehemiah Secondary school where all Harvesters orphanage children have studied from which is a prestige in itself. Unfortunately when war broke out in the state nearly three years ago, schools closed down as people were forced to run for their lives and either go into exile or return to their mother country. 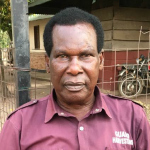 While Harvesters had some teachers and kids leave the area, Mr. Mourice sacrificed his own safety and stayed to care for the orphans who had nowhere to go, which kept us around too with the school operational. And while internally people keep getting displaced, God is with us and the presence of Harvesters has continued to present us with hope. 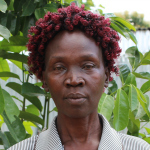 Regina’s message only hints at the difficulty of her circumstances and what it’s like to continue to live and work in South Sudan today. With the constant threat of violence, rampant inflation putting most of life’s basic necessities out of reach and uncertainty about the future, the crucial role of teachers and their impact on children is highlighted more than ever. 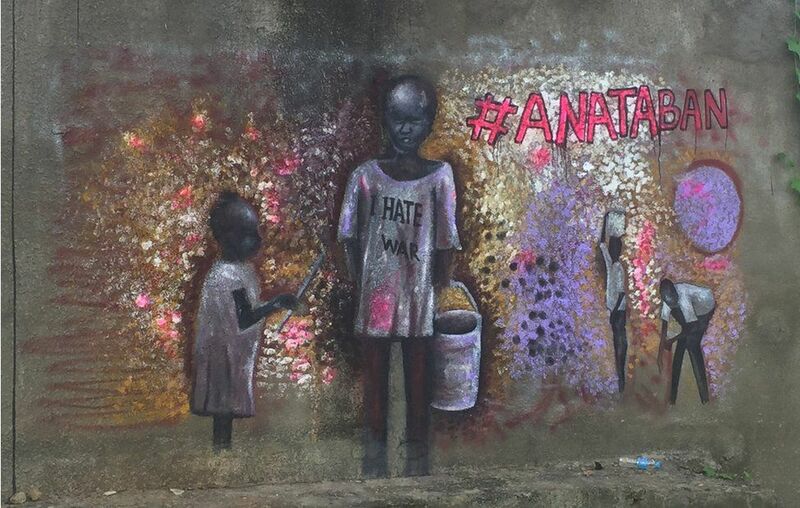 In the following poem written by sixteen-year-old teacher Aindrila, she portrays a story of an uneducated individual who assails into darkness, numbness, and gloom. She finds guile everywhere and no innocence. As her poem reads on, hope transcends the darkness through education as a teacher illuminates her student’s mind, once dark, with knowledge that brings with it light and hope for their lives. Thanks to the unswerving dedication of teachers like Regina, children in South Sudan have an opportunity to learn from Christ-centered instruction, develop leadership skills and change the expectations for their future, impacting their country for generations. Hi my name is Martin and I’ve been working as a security guard on Harvesters’ Yei Campus for several years now. As a guard, I take care of people. People can be afraid. So, I watch out carefully and try to be strong so others won’t fear. Things here in South Sudan are bad. I often think to myself – When is it my time to die? Since things here are so unpredictable, it makes it really difficult to make decisions. For example, this past fall I planted my garden 5 miles in the bush, but now I can’t go and harvest my garden because it’s too dangerous to get there. I know my not being there will lead other people to take my harvest for themselves. I guess they needed it more than my family. Living in these unsafe times I have experienced firsthand the protection of the Lord. One night a group of men came to our village and killed people. At the time I was holding a baby, so these men didn’t kill me even though they argued over it. Instead, they told me not to leave home. So I still live there, even though it is dangerous because if I relocate, they’ll think I’ve told on them. It is a tough place to be and makes me pray every day, asking God to protect my family each night before we go to bed. I hope God will hear the prayer of our people for peace so people can live in unity under one nation. Peace after all determines whether schools are open to teach, jobs are available to work, and hospitals are able to operate. Even our travel on roads is dependent on peace. Will you please pray for God to work in our hearts helping us become a nation of reconciliation so there will be no need to fear anymore? My name is Michael Yemba and I was born and raised in what is now South Sudan. In 1993 my beautiful wife Rose and I married and began our life together in the Middle East. Unfortunately, one of the darkest times of my life happened there when I was arrested and imprisoned for my Christian beliefs. Facing certain death, God intervened through former United States Ambassador to Saudi Arabia, Robert Jordan (pictured above). Ambassador Jordan saved my life by interceding with authorities, obtaining my release and arranging for me to come to the US. Here, I’ve received pastoral training and a Masters in Global Missions & Evangelism so that I can preach the Gospel to the lost and help equip leaders in my home country. As I write now, the suffering of my people rages high. The state of South Sudan is one of gloom, and even though I’m no longer living there it affects me deeply and personally. I feel pain in my heart seeing the destruction of the blessings God has given us, but I continue to hope that the heart of my home country becomes a heart after Jesus Christ and values the importance of God in their lives. This July marks the 6th anniversary of South Sudan’s independence, and it is my prayer for people to continue to invest in the gospel teaching and preaching of Jesus Christ because it is the only way to be delivered out of darkness, I know. While my wife and I would like to return to a restored South Sudan one day, for now I will continue preaching at my church, working at EmpowerOne, and serving on the Board of Trustees at Harvesters to make a difference for my home country. “You saved my life” are heartfelt words Michael Yemba shared with former United States Ambassador to Saudi Arabia, Robert Jordan. Their story began before their first meeting. Years before, Yemba’s stepfather, a Christian leader (in Muslim Sudan) and his mother were forcibly taken from their home and shot to death. Yemba escaped to Saudi Arabia, starting him on his journey to cross paths with Ambassador Jordan. Yemba worked in Saudi Arabia in hotel security in the late 90s. He was a man of deep Christian faith who held religious services in his home in Riyadh. These types of services were allowed as long as they were held privately according to Ambassador Jordan, yet for unknown reasons the Saudi religious police burst into Yemba’s home and forced him into prison. Serving months in solitary confinement, he was never charged with a crime. A friend of Ambassador Jordan approached him with the story of Yemba and the concerning plan that he would be released from prison but not allowed to stay in Saudi Arabia. Instead they were going to deport him back to Sudan where he was certain to face death as a result of the earlier persecution of his family. Ambassador Jordan’s friend implored him to intervene on Yemba’s behalf. It’s unusual, to say the least, for an American ambassador to intervene on behalf of a non-US citizen. “But Michael touched my heart” Ambassador Jordan writes in his book. “No one from Sudan, or anywhere else, was going to save him. I knew it was up to me to find a solution to avoid sending him back to a death sentence.” Through his position, Ambassador Jordan asked a favor of a high ranking Saudi cabinet minister and prince. That favor was for a 30-day delay of Yemba’s deportation so that arrangements could be made for him to come to the US with his wife. This favor was granted through the long-standing relationship Ambassador Jordan had with the Prince. Through contacts with the State Department, Ambassador Jordan secured a visa for temporary religious workers for Yemba. 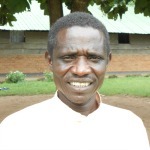 Further connections were made with a seminary in Pennsylvania so that Yemba and his wife could relocate to the US. 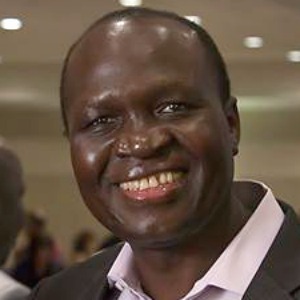 Yemba completed his divinity degree, obtained his Master’s and relocated to Dallas where today he pastors a church, serves as Director of Strategic Leadership Opportunities at Empower One and as a member of the Board of Trustees of Harvesters Reaching the Nations. Quotes above are from Robert Jordan’s book, Desert Diplomat: Inside Saudi Arabia Following 9/11. (Potomac Books, 2015). For more details on Yemba’s story and others read Ambassador Jordan’s book, Desert Diplomat: Inside Saudi Arabia Following 9/11. 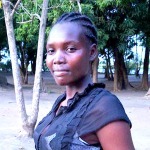 My name is Agnes Tumalu Alex and I work as the nurse on Harvesters’ Terekeka campus. Since South Sudan’s independence, our country has been handicapped by the competing interests of powerful political actors and the factions and interests they represent – which has made many people, including me, face either crisis or emergency levels of insecurity. This past year I had to relocate from Yei town to Terekeka because it became unsafe for me to stay in Yei. While it wasn’t easy for me to leave my home, I know God has a purpose in having me in Terekeka right now so I can be a nurse to the children and others in need here. I truly thank God for this calling He has placed on my heart. As a nurse, I get to be a responsible member of the community caring for the sick no matter what their race, tribe, color, politics, or social status, sparing no effort to conserve life, alleviating pain, and promoting health. Despite what is going on in my country, I remain hopeful on several levels. Here are just a few of the things I’m hopeful for…professionally I’d like to improve upon my nursing skills so I can further help the people of South Sudan, especially orphans. Personally, I hope and pray to see my parents again, who as of now are living in the Congo (DRC) because of the war. But ultimately I’m hoping for peace to break the cycle of destruction this nation has been in for decades. In my hoping for these things, we South Sudanese need your prayers. As Christians we know prayer is the key to having hearts opened to love each other. So please pray with us that the people in South Sudan choose to exchange their guns for Bibles and recognize that lasting peace will only come about through acts of forgiveness and reconciliation. 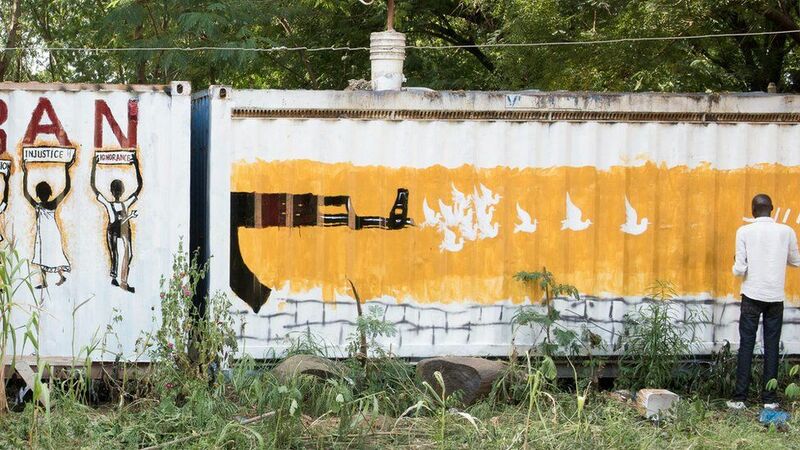 For the South Sudanese, the journey of life has been marked by long stretches of violence, deprivation, and desperation with only occasional glimmers of peace peeking through for short periods of time. Yet in something that is so easily overlooked, God’s hope is reaffirmed. Each day as the rays of sunshine push back the darkness of night, His mercies are made new to us as the prophet Jeremiah notes. Each dawn brings with it renewed hope. Two thousand years ago, there was a dawn that broke the darkness once and for all so that we might never again have to live in fear. As Jesus’ followers cowered in the darkness of an upper room, hope was in short supply and one can only imagine the thick despair that weighed on them that Friday night and Saturday. And then, Sunday dawned. The stone was rolled away, the Savior risen from the grave and the disciples, indeed the world, forever changed. Shaken from their grief, they embark on a mission to spread the good news of Jesus’ resurrection to the ends of the earth, a mission we are now a part of. All because of a new dawn so many years ago. Agnes and her many fellow South Sudanese look expectantly for a new dawn of peace. Their hope is strained, stretched, and at times appears illogical. They continue to lack security, basic comforts, and opportunities that we in America can so easily take for granted. South Sudan is a difficult place but the faith of its believers is daily made resilient by their Lord who cannot and will not forsake them. Indeed as Paul says in Romans 8, nothing can separate them from His love. We do not know when or even if peace will return to South Sudan during our lifetimes. What is known is that the story of Easter, the message of the gospel, of Jesus’ resurrection and gift of salvation to all who believe, is the only means of obtaining lasting peace. 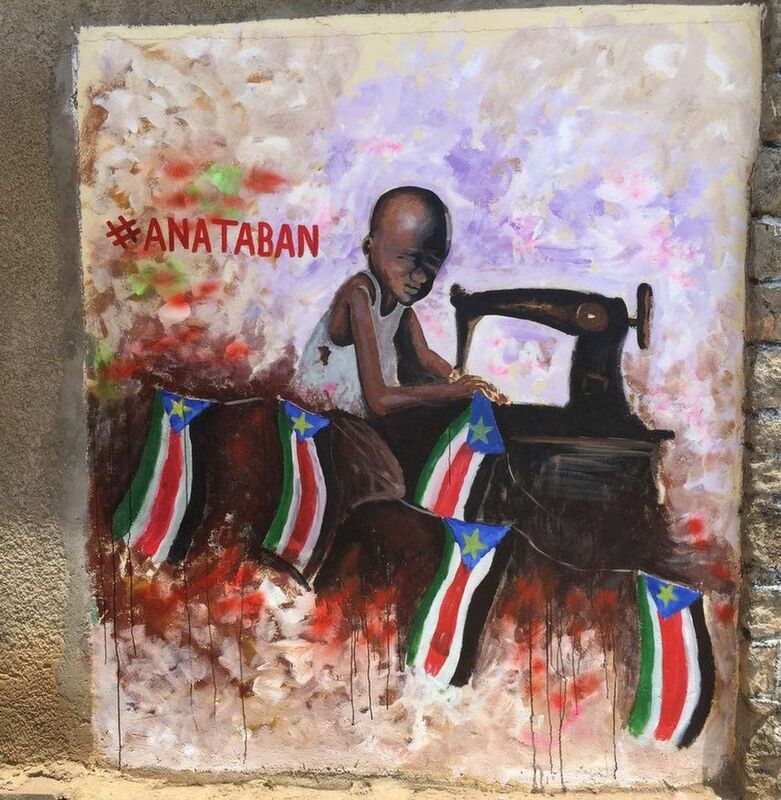 Our South Sudanese brothers and sisters cling to this message faithfully. They find renewed hope each day in the Prince of Peace and call on all those who will listen to heed the message of the gospel of peace. So join with Agnes and her fellow believers in South Sudan in clinging to the words of Paul, words written from a prison cell, as he writes, “Do not be anxious about anything, but in every situation, by prayer and petition, with thanksgiving, present your requests to God. And the peace of God, which transcends all understanding, will guard your hearts and your minds in Christ Jesus.” (Philippians 4:6-7). My name is David Gama and I am an alumni of Harvesters’ Primary School and Hannah Scholarship Program. Through these programs, I was afforded the opportunity to attend university and graduate with a degree in Community Health in 2015. In July 2016, I left my home town of Yei for Juba to visit with my relatives after nearly four years of living apart. During my short visit, my plan was to tour the city and enjoy the little signs of developmental progress being made. Little did I know that the devil was acutely at work. On the evening of July 8th, as we were riding home with my elder brother along a popular street, I noticed it was heavily guarded by young men. Little did I know that 15 minutes after we passed from that section of the road, more than 100 of those young men would be lying dead. Likewise, a number of civilians passing along the same route were killed as the fight raged on. Only God knows what would have happened to us if we had delayed our return for just a few minutes. As it turns out, the ripple effects of this same incident reached every corner of our beloved country and forced many of my friends and relatives to leave for refugee camps in search of a peaceful place to stay. As many have left the country, some remained in the country including myself despite the crippling economy, increasing insecurity, and worsening humanitarian situation. With God being our only hope, we are and will continue serving in the various areas of our gifting to help those that need it most. As such we ask all friends and well-wishers to keep on hoping with us that soon this will come to an end and we will celebrate and live in harmony. Also, my humble appeal to friends and well-wishers across the world is to keep on praying with us that our leaders will come to know Christ and lead as He would do so. 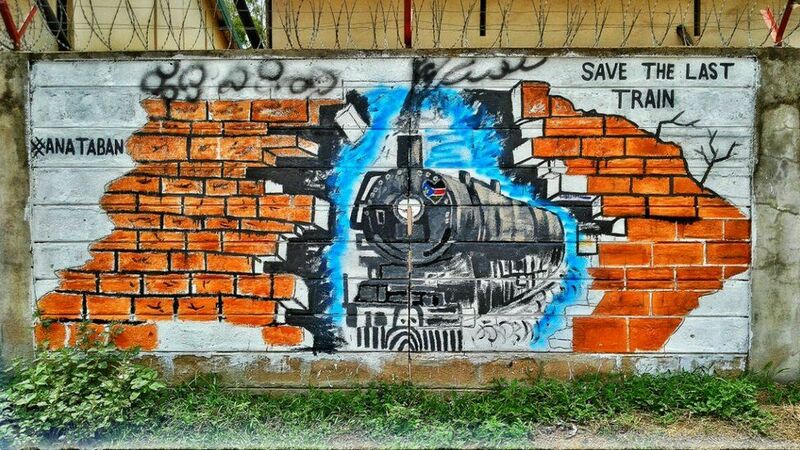 God bless South Sudan! Every day when I think of South Sudan, it hurts. I thought our parents fought and that we’d be the generation to enjoy South Sudan, but to my surprise people are still picking up guns and fighting. My brother continued on sharing about the shocking realities of living in the bush. He proceeded to end our talk by saying to me “I thank God for Harvesters and their support for you in your schooling, glad you got to go to school… Study hard and we hope to see you if we can.” I absolutely lost hope when we hung up that day. As I approach my 26th birthday this March, I’m reminded to live day by day. Having one brother in the bush and another having recently passed I know I cannot squander the opportunities God has given me. I’m fortunate right now to be able to continue with schooling for mechanical engineering, of which I am skilled. 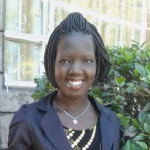 I chose the nickname “AutoHealer” because once I complete school my hope is to be able to repair and bring things back to it’s normal way of operation – which there is much need for in South Sudan. 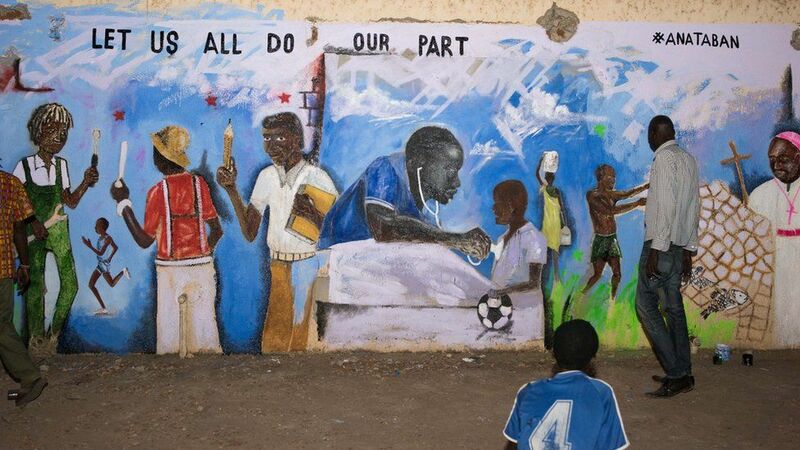 Social, economic, and political realities are so fragile in South Sudan that education remains of profound importance. For the last decade, South Sudan has seen significantly increasing school enrollments, yet its institutions are still being formed and transformed. Among its many challenges are a concentration of students in the early grades; a high proportion of overage students, repetition, and dropout, and weak levels of student learning. 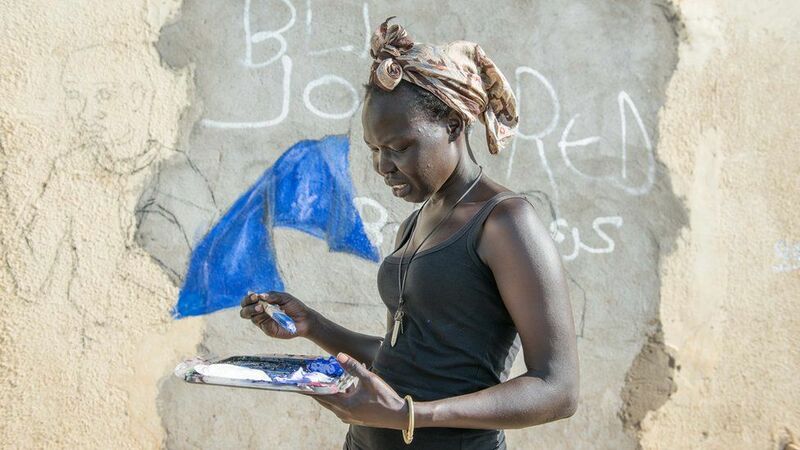 Faced with an adult literacy rate of just 27%, it is imperative that education opportunities in South Sudan strengthen and grow at the Primary and Secondary School levels. The advantages of a Primary School (Elementary) education are clear. Currently, just 40% of children who are eligible attend primary school. Only about 1/3 of those complete their primary education. Additional and smaller classrooms in permanent buildings, improved curriculum, and further teacher training all will contribute to improving these rates. For employment prospects, completing Secondary School (High School) is a distinct advantage. It is a general degree useful across all employment sectors, and is understood as a constant valuable currency in an economy that is developing and erratic. Yet the country is facing many challenges here. Only 2.4% of eligible students are enrolled in secondary school. The drop-out rate is significant, ranging from 18-33% depending on the grade. 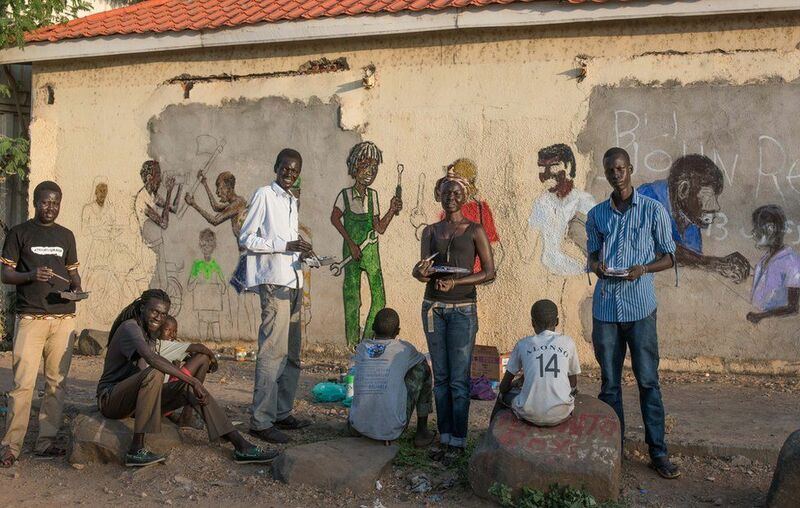 The subject matter of education is crucial for people to survive in South Sudan. Besides the traditional secondary curriculum, practical learning in the areas of agriculture, automotive repair, building trades, tailoring, etc. are all valuable. Those employment sectors are more stable in South Sudan. Also, in the erratic economy that currently exists, many of the skills the people acquire in these areas will keep them alive. When one cannot count on a market, grocery store, or hardware/repair business operating over a period of time, one relies on those skills learned in school like growing food, making clothes, and repairing necessity-type items to survive in tough times such as these. Despite the uncertainty and what appears to be overwhelming challenges of reaching quality educational goals, we see a nation thirsty for spiritual growth and learning. Education is key to providing a secure future for South Sudan. My name is James Michael and I want to share with you my story. I have lived in desperation. My mom died during child labor when I was 6 years old because there were no maternal hospitals at the time, and my dad died with a strange illness which caused him to lose weight til his death a year before my mom died. It was terrible for me and my two siblings. My grandma took us in. Life was not easy for me. I ate leaves and some wild fruits for food. I wore just underwear for many months because I lacked clothes, and I slept on the floor of our tukul (hut) where ants would bite me throughout the night. On many occasions I nearly died because no one could take me to the hospital. During this period I never attended school. Luckily, I was brought to Harvesters Orphanage where life dramatically changed for the better. I can proudly say I am a 2nd year law student at one of Africa’s best universities. All the difficulties I went through didn’t affect my study, but strengthened my faith to study harder. People often say orphans are “nobodies” and do not succeed in life, and as such we are marginalized for being what we are by our culture (it’s not what we chose for ourselves). But I persist to study hard and excel in school, because I believe I can be a part of the solution in my country. Want to send James a note of encouragement? You can do so by clicking the button below and emailing him a message that we will share with him. 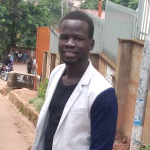 My name is Pastor Hillary and I want to share with you a story of a fellow South Sudanese man (belonging to tribe “Y”), who witnessed his elder brother being killed by the members of tribe “Z”. He grew up with bitterness in mind and a feeling of revenge. Any time he’d see a “Z” tribe member it would set his blood on fire. But God called this man to be a shepherd. So he went on to graduate from theological school and start and pastor a church. However, the bitterness in him remained unchanged as he refused to let go the past. In 2013, after only a year and a half of independence, another civil war broke out between the “Y” and “Z” tribes, which was marked by targeted killing. During this time God led six “Z” brothers seeking refuge inside this pastor’s fence. Here marks the beginning of his turning point. Faced with the ultimate dilemma of seeking vengeance for his brother’s death or offering these men refuge, he had no choice but to choose. The pastor chose to sacrifice his bitterness and offer protection to help secure the lives of the six “Z” brothers seeking refuge. Today as I share with you, this Pastor has good number of “Z” converts in the church. This man chose to be a part of the solution rather than create more problems for our country. I value this example because in my homeland of South Sudan, we need this kind of heart to bring back the fractured relationships caused by senseless wars. Want to send Ps. Hillary a note of encouragement? 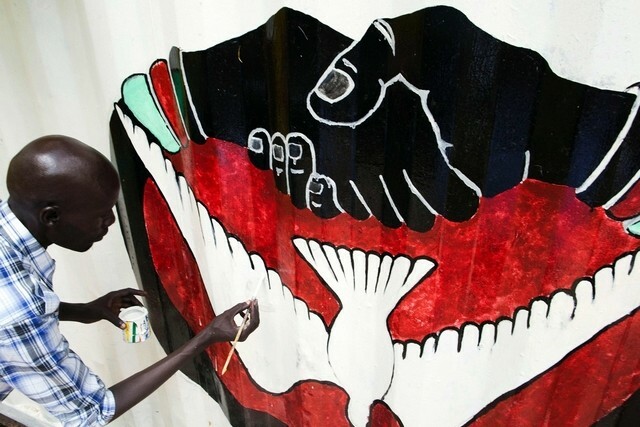 When South Sudan declared its independence on July 9, 2011, hope soared and for once, the roughly 60 tribes that make up this country put forth a unified front in creating a new nation. And yet, despite the extraordinary milestone, it would prove impossible for the deep wounds and traumas of the past decades to be erased with the simple casting of votes. 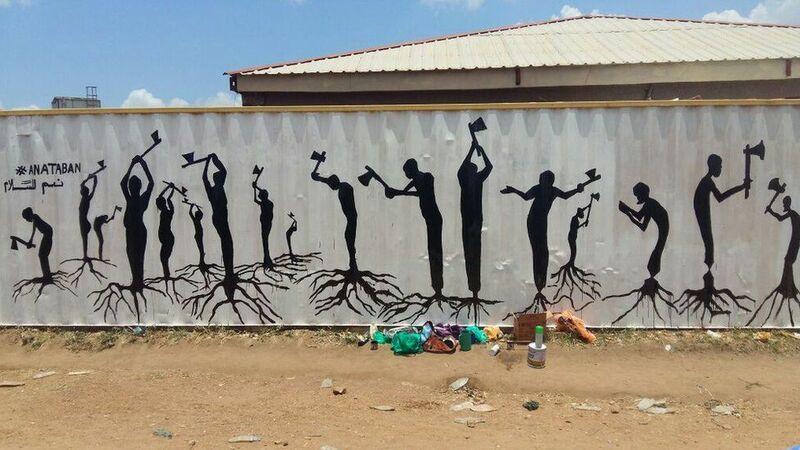 South Sudan endured a long fight for their independence and it soon became clear that another fight, one for unity, representation and justice this time, was just emerging. 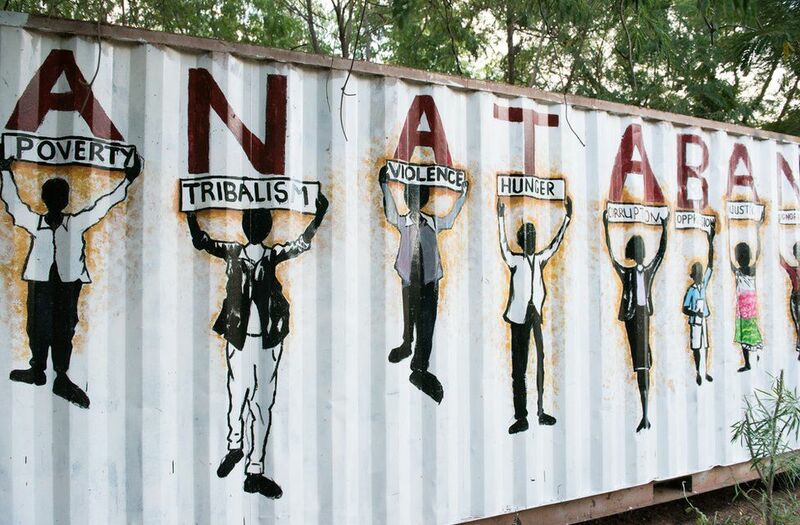 In late 2013, simmering tensions erupted and these have kept South Sudan in an extremely fragile state. 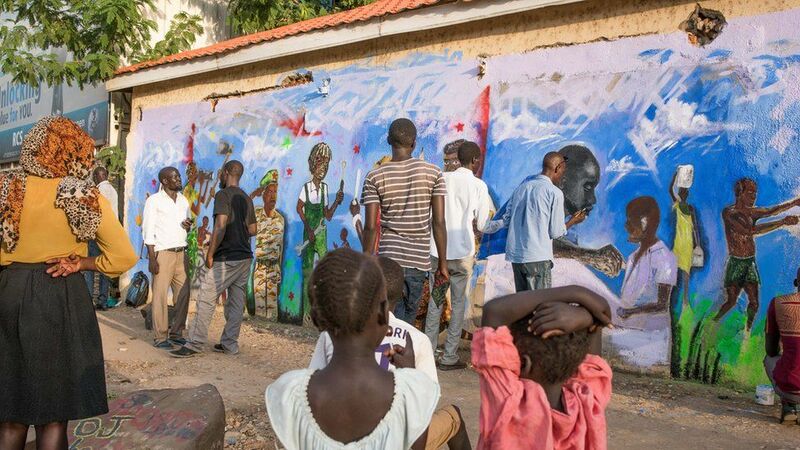 For three of South Sudan’s five years of nationhood, the country has been embroiled in conflict, the cloud of suffering and discouragement hangs heavy across the land…and yet there is hope! As Americans and more foundationally, as believers living in America, we have every reason to be hopeful for this young nation. Over two hundred years ago we declared our own independence and yet we had a long road to traverse in creating unity and establishing representation and justice for all. Through God’s gracious hand, we have come a long way and yet we recognize the need for continual progress. The South Sudanese can stand firm in their faith that the same God who has worked and continues to work in our country is also at work in theirs. A nation and its leaders are not our hope, He is. And this hope is rooted in the fact that He remains constant and unchanging (Hebrews 13:8). Right now South Sudan needs ministers of reconciliation. Over 50% of their population is under the age of 18 and this means an entire generation is like fields ripe for harvest (John 4:35). South Sudan is a land of many people and yet we serve a God who through the sacrifice of His Son has provided the means to make one Body out of many. The throne room of the King of Kings will one day be filled with the praises of those from the various tribes of South Sudan and we believe that the young generation you have partnered with us to invest in is an integral part of God’s plan for the future of this nation. The misguided actions of the few cannot be allowed to drown out the voices of the many who long for peace, security and justice. Please stand with us in support of the South Sudanese and join with us in praying for God to continue raising up men and women as ministers of reconciliation. 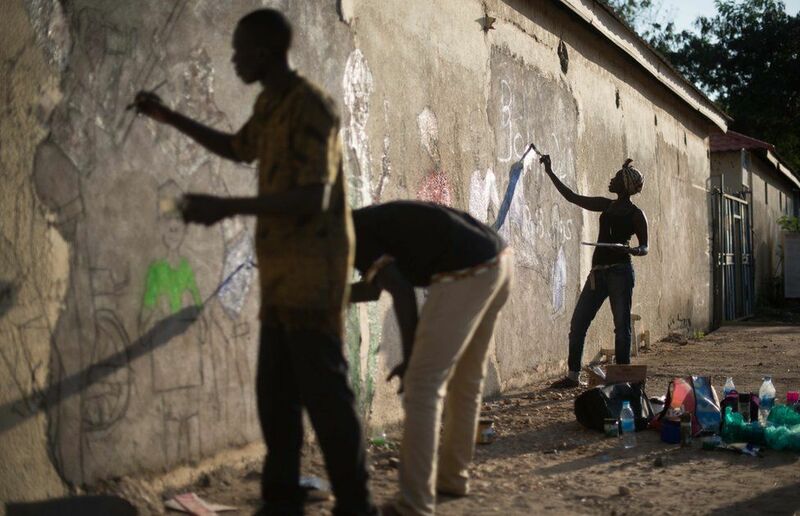 Can South Sudanese expect peace given their history? Two lengthy civil wars occurred in Sudan from 1955 to 1972 and from 1983 to 2005. These wars created an unprecedented environment of exclusion and neglect. The lack of economic, social and spiritual development resulted in egregious suffering, loss of life and opportunities. Widespread poverty and food insecurity were the norms for decades. Yet South Sudan overcame that to become the world’s newest nation on July 9, 2011. As the 42nd largest country in the world and the 15th largest country in Sub-Sahara Africa, there was great hope and promise. Celebrations were held in Freedom Squares throughout the country. The journey for peace was fraught with difficulty though. Armed conflict broke out in December 2013. Since then there’s been a cycle of fighting and numerous ceasefire agreements. A peace accord, signed in early 2016, formed a transitional government which many hoped would lead to more stability. Unfortunately, that was not the case. 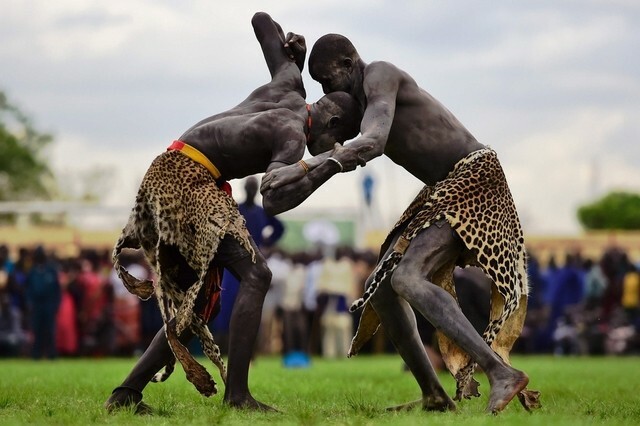 Renewed fighting broke out in Juba in July of this year. On a national scale, this shattered the fragile peace process. Locally, people are suffering terribly. Enormous numbers of people have been displaced – about 1.6 million internally and over 880,000 are refugees in neighboring countries. Yet despite these circumstances, there is hope in the voices of the South Sudanese. There are noble people actively working for and praying for peace. But what kind of peace can we expect? Scriptural peace. It is peace in the midst of great trials, much like what is happening today. In John 14:7, Jesus says “Peace I leave with you; my peace I give you. I do not give to you as the world gives. Do not let your hearts be troubled and do not be afraid.” It doesn’t seem possible this peace could exist in South Sudan but it does. It is in the hearts and minds of her people. It is divine and supernatural. They hear Christ’s words to remain calm. They know His peace can affect and overrule their circumstances. Let us all pray and hope with them. That this peace will soon spread throughout the land. A’minu Ma Nina. Hope With Us.